Display instantaneous flow, accumulated flow (positive, negative and net), velocity, working status etc. Aluminum, Glass steel product, liner is allowed. downstream 5D, 30D from the pump. oil, chemicals, plant effluent, beverage, ultra-pure liquids, etc. 3 built-in Ni-MH batteries 1.2V(for over 12 hours of operation). 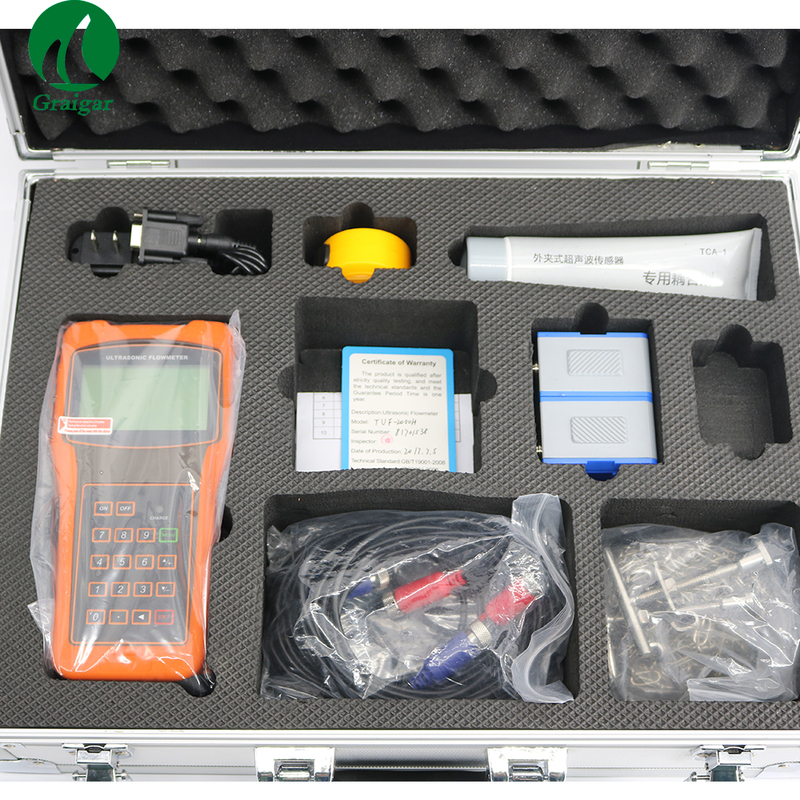 Achieve to continuous measurement by connecting AC 90V - 260V adapter.